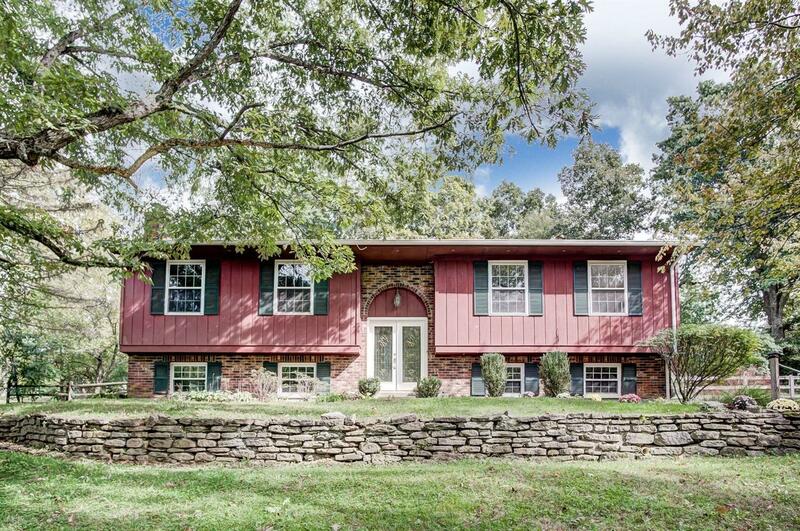 Spacious 3 bdrm 2.5 bath home nestled in cul-de-sac on wooded .7 acre lot! Updated Kitchen w/granite counters, Master Bdrm w/ adj bath & walkout. LL Family Room offers cozy gas fireplace and built-ins. Serene backyard w/ fish pond. Features include: hdwd flrs, crown molding, fresh paint & new carpet. Roof '17, HWH '15. Attached 2 car garage! NOTE: This property was sold on 11/19/2018 and is no longer available. The details listed below are believed accurate to the date of the sale and are subject to change. This listing courtesy of Anne Bedinghaus (513) 235-1358, Coldwell Banker West Shell 513-922-9400.